Our goal to spend Christmas at the cabin is inching closer and every passing day we’re making more progress on the spaces there. We’re not aiming for done-ness–more like safe, cozy, clean, livable. 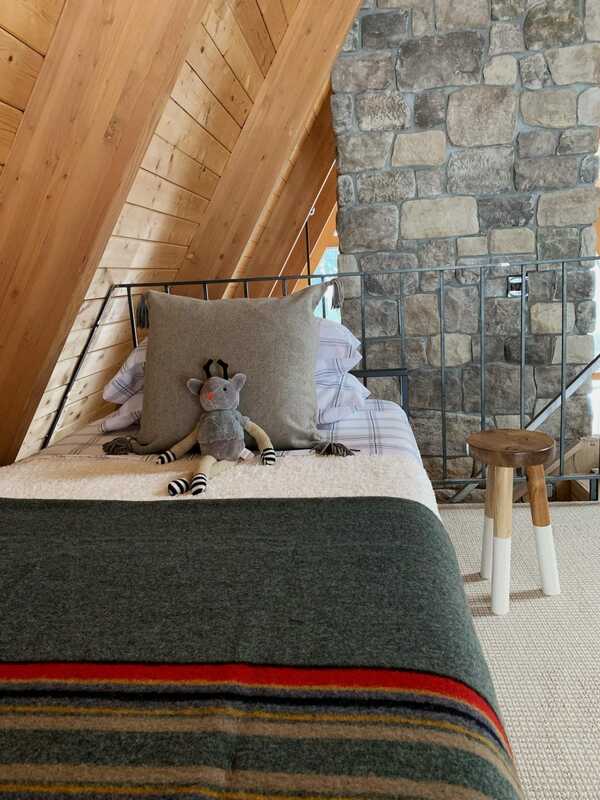 We have always envisioned the loft at the cabin being the landing spot for kids. 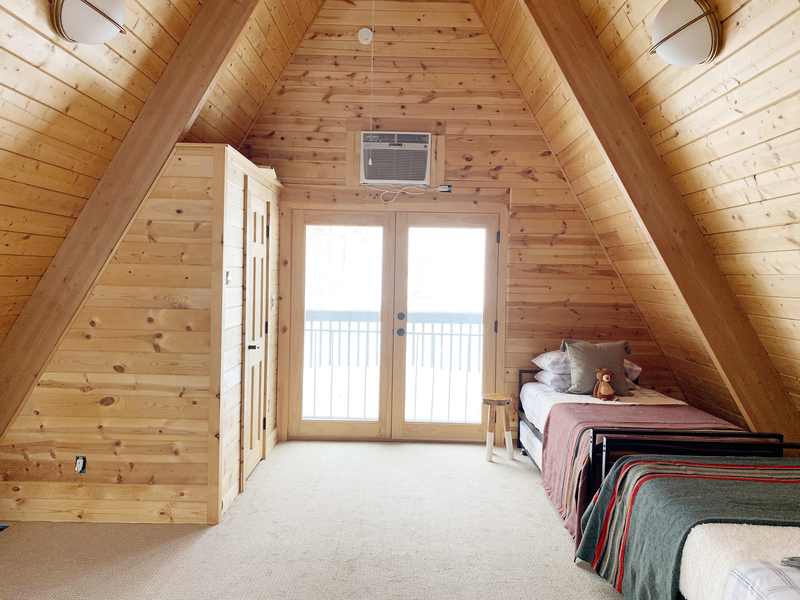 We went through 1000 iterations of this room, from bunkbeds to a queen bunk on the bottom with a twin up top, to beds jutting out from the wall all in a line. We took out a small closet in the corner for making more room, but the more we thought about it, the less we loved the idea of filling all of that newly-discovered room with visual clutter–whether that’s vertically with bunks (which, let me tell you are a CHALLENGE in an A-frame) or taking up the majority of the space with single beds all in a line. 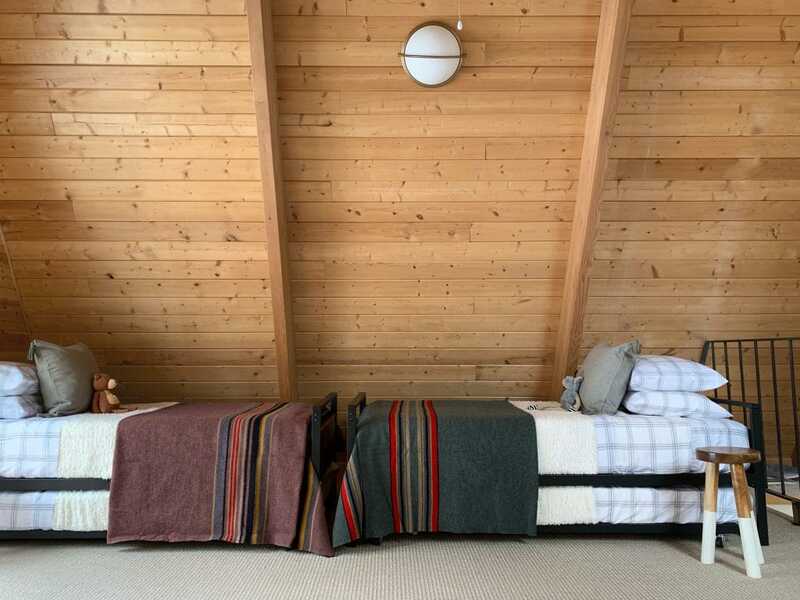 However, we still wanted to sleep 4-6 kids up here and then it dawned on us–trundle beds! If you think about it, trundle beds are the most compact version of a bunk bed and made so much sense for our space. Walmart had a really great selection of them online. From fully upholstered ones that look like sofas, to trundle beds that are disguised as drawers under a bed. If you’re not sure what you want, they have this really nice feature here where you can shop by style–farmhouse, glam, boho, mid-century, modern, Scandinavian, industrial, etc.–there’s 8 different styles to choose from and it’s such a great launching pad for shoppable inspiration and putting together a cohesive space. They’ve really amped up their home decor and furnishings and I fell pretty quickly for these Iron trundle beds with wood panels on either end. They are technically marketed as a daybed, but with no side rail, I knew they would be perfect for our head to footboard configuration we had in mind. And! They were on sale (still are!) for $129 each. 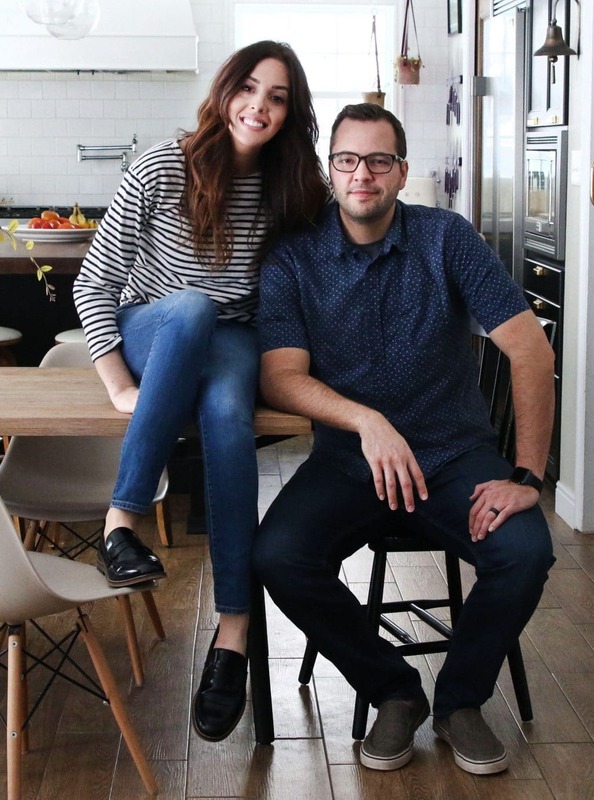 With the trundle, that’s 4 beds for $260–and everything over $35 ships free from Walmart–it felt like the biggest score. 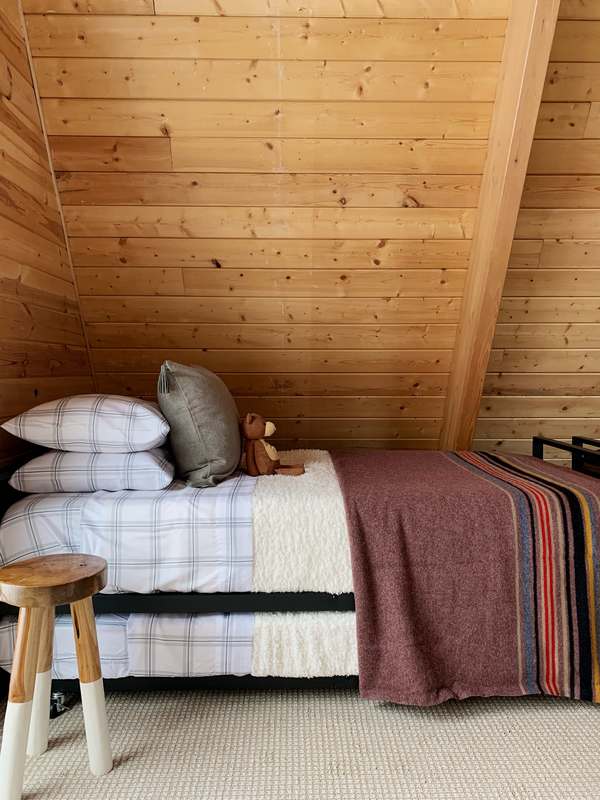 Each bed is made with these plaid sheets that felt really cabin-y, one of these fleece bed blankets (in ivory) is underneath these sherpa blankets (only $8! ), and then each bed is topped with a Pendleton camp blankets that I also found on Walmart.com. But maybe my favorite find were the tassel throw pillows. A 20×20 down-filled pillow (it has such a great weight to it! ), with a soft gray exterior and leather tassels for $24–no one is going to believe you got it at Walmart. I added a few cabin-y stuffed animals to the beds to make the kids feel at home. We’d still love to add wall lamps, some pennants/art to the wall. A pull out couch on the other side of the loft so we could sleep more if we needed to, or just have it be a landing spot for lounging when not in use. Some sort of chest for storing spare bedding would be nice. We have visions of adding a crow’s nest expanding the width above the powder bath up here to create an extra level of fun up here. But for the holiday deadline–it’s cozy, clean, livable…and as soon as we add the railing back on, it will be safe. (We are getting the whole thing powder coated, even though I loved the raw steel look, it’s rusting in some areas). We love the direction it’s heading–here’s a short video of putting together to space over a few separate trips! Its probably too late for the railing – but they make a product called Ospho that is a rust treatment for raw steel. My brother built some custom steel shelving supports for us and treated them with Ospho after strategically letting them age a bit, the Ospho causes the rust to oxidize. My family and I have been going up to my Uncle’s hunting cabin every thanksgiving weekend for 25+ years as a tradition, we kick off the holiday season by cutting down our Christmas tree and hang out all weekend in their cabin. 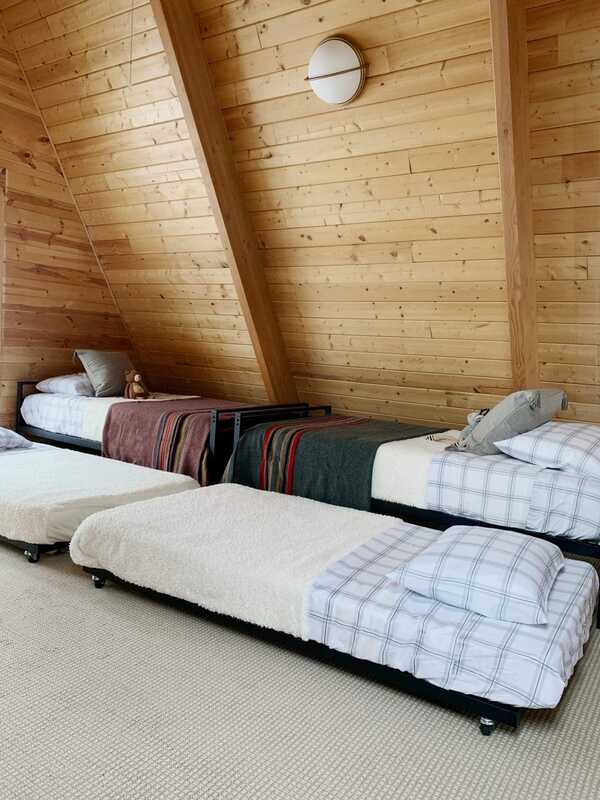 This loft area totally reminds me of the room all the cousins would share – we had so many fun times up there as kids! Except of course this is so much more stylish! Is there enough room up there for a pull out sofa with the trundles pulled out? Really impressed with how much you can do with the space! Yes!! I think it will fit just perfect. Great option! Of course you made the minimal black trundles look fantastic! Hi Julia. How very wonderful everything looks. I know you’ll tweak it as time goes on as you discover what works best for your family. We have had a mtn cabin for 30 years and mostly ask those visiting with us to bring their own sleeping bags and towels we do keep a few extra sheets and towels around when people are flying in, but generally I’m not expected to do laundry for all the beds, just my own family It’s really the way to go for me. Great update! Functional yet cozy! When I saw the sneak peak on your Instagram I really thought you’d put another bed on the other side (where you may add a pull out couch).. you’d get another 2 beds in there without it being to chaotic looking. Though if you do a double pull out couch, it would sleep the same, and maybe even one more it they’re little. I guess kids don’t mind sharing eh? I love the look of all of the beds – I don’t think it’s too busy since it’s all the same sheet sets. It looks great! 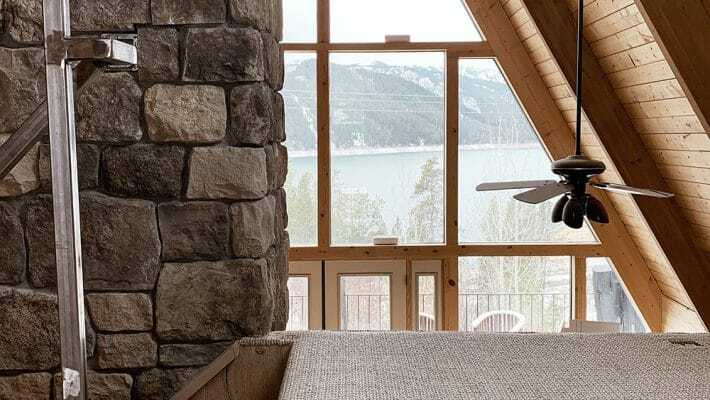 The crows nest will be so sweet and fun once you tackle that! 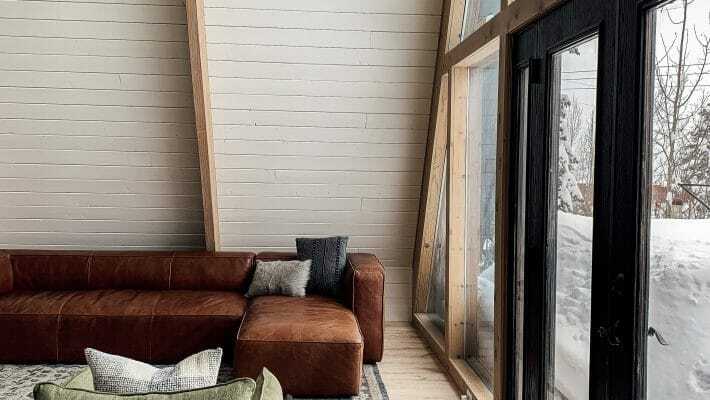 Would be so sweet to have a book case, bean bag chairs and all of the pillows! We just got back from Scotland and this looks SO cozy and reminded me of our time there! Can you share the source for your dipped side table/stools? Thank you! Looks awesome! You mentioned the trundle would not fit the top mattress you used. So the trundle fits the length of a twin mattress but only one that is 6 inches high? 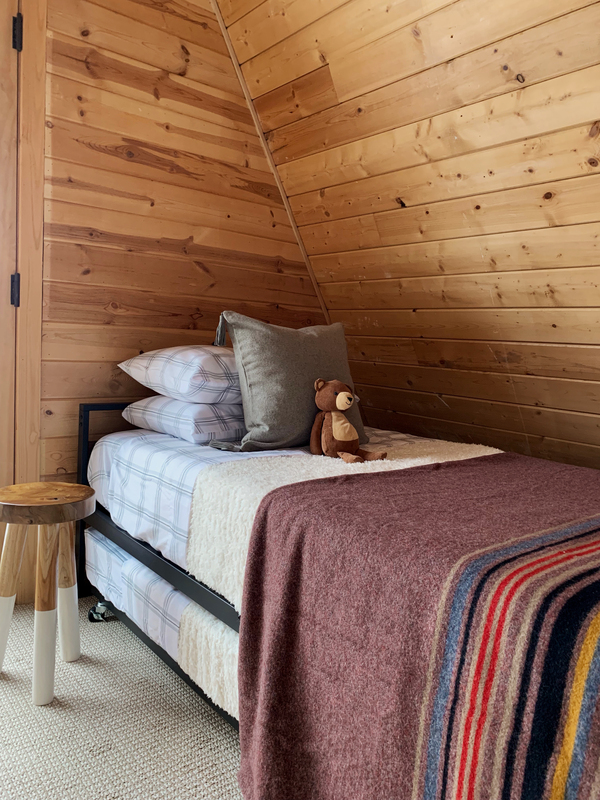 LOVE the look and now I’m thinking about swapping out the bunk-bed we have in our house… anyway, wanted to ask where the flush-mount light is from? It’s divine! 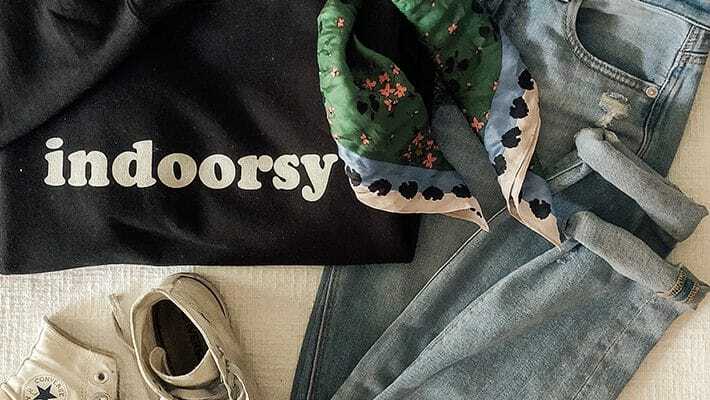 (And truth-be-told, I’ve been googling my brains out trying to find something similar…) Thanks in advance – and on a completely unrelated note, I picked up a “Homebody” sweatshirt, in black, from your recent Black Friday sale and I’ve been LIVING in it every day when I get home from work!!! Isn’t it the best!? So glad you got one. HEre’s the link to the light. It’s from CB2! Cool! Is there a reason you chose head to foot configuration? Did you ever consider putting both heads along the wall and the feet coming out or would there not be enough space for the trundles that way? I actually talked about that in the post! We really wanted to keep the area open and have enough room to pull trundle beds out. What about the lights? Did you link them anywhere? I Love this look! Looks fab – amazing work! Just curious, is the AC wall unit staying, or is removing it part of the HVAC re-do? It is no longer needed so we can remove it! When we do the crow’s nest, we’ll address that. It requires patching our exterior so that should be fun. Couldn’t you just put in a sweet little window there instead of patching it to try to make it consistent with the existing materials? Also, I meant to respond to the poll about the direction of the lights, and I know people were pretty evenly split – but IMO if they were vertical, it would really nicely tie in with the vertical beams. When they’re horizontal like they are now, all I can see is how they don’t line up with the horizontal lines in the paneling. Just my opinion, though, and it ultimately doesn’t make much difference! There were lots of strong opinions in both directions! Haha. 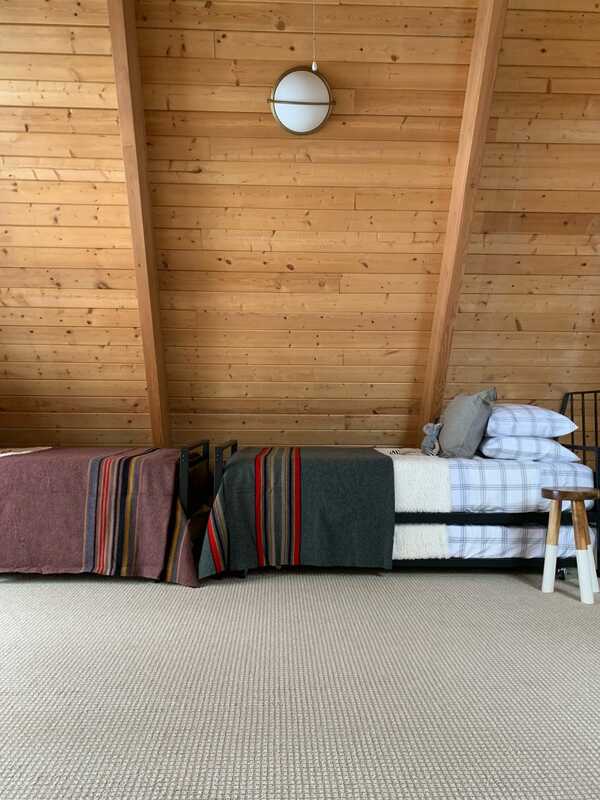 Great idea to use trundle beds…I can’t believe the Pendleton Camp Blankets are from Walmart! Right?! They have everything now. 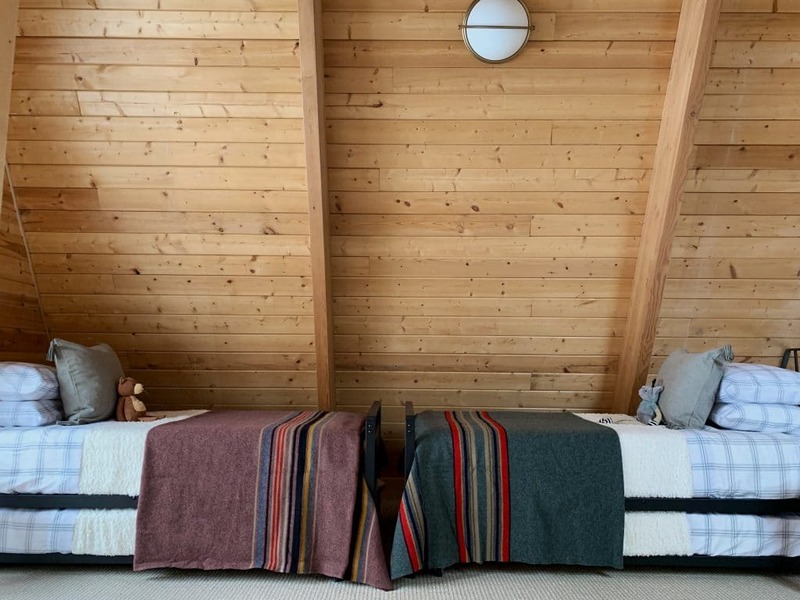 The Pendleton blankets were definitely a splurge, but with everything else being so easy on the wallet–we felt like it was the icing on the cake we needed. Ooo. I might use a dark fitted sheet on the trundle and get a trunk to hold duvets and pillows for the trundle. They they’ll blend in and be easier to use and maintain. I just got a trundle for my daughter’s room and now I’m glad I got one with a front panel to cover the trundle. It seems like it would be easy for the trundle to look sloppy (especially with kids who don’t make their beds). 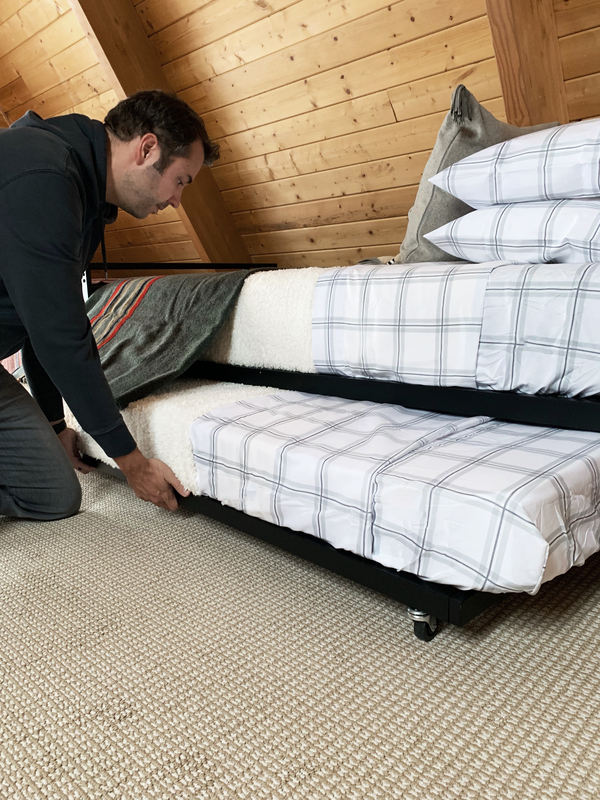 Do you think you’ll add a bedskirt or use dark bedding on the trundle to make it look less cluttered? Oh, I don’t know. I kind of like this look! We’ll see. Thanks for sharing. I’ve been eyeing similar trundle beds for my kids for some time. Can you please tell us about the mattresses you used for both the twin bed and the trundle underneath? On top we used Leesa mattress, but the trundle space is too small for those so we used these 6″ mattresses from Walmart under there and they worked great! Looks great! What about the little side tables, where are they from?